Chicago is known as the Windy City. Any who has spent time on the lakefront can attest to that attribute. Still Chicagoans love to be outdoors enjoying everything that they city has to offer. Ladies sometimes have it difficult when it comes to hair styles. Women love to have a great blowout, but windy whipping your hair around isn't fun. With On The Go Hair Band Bracelets you can stylishly pull up your hair when you need it. Made from soft stretchy material, the On the Go Hair Band Bracelets are fashionable and functional. When worn as a hair band, they won't tug or pull hair. When worn as a bracelet, the band is comfortable and won't cut off circulation. In bright, bold colors and fun, flirty patterns, these hair ties/bracelets are perfect for any event. For the busy woman, these hair band bracelets are a must. The fun colors can coordinate with any outfit. Since they look like a bracelet, people don't wonder why you're wearing a hair tie on your wrist. In a moment, wind-crazed hair can be pulled back with the hair band bracelets. From a day at the beach to a quick jog in the park, these accessories will become your must have item. Active Accessories sells the On the Go Hair Band Bracelets and other active inspired accessories. The One the Go Hair Band Bracelets retail for approximately $7.99 for a six pack. 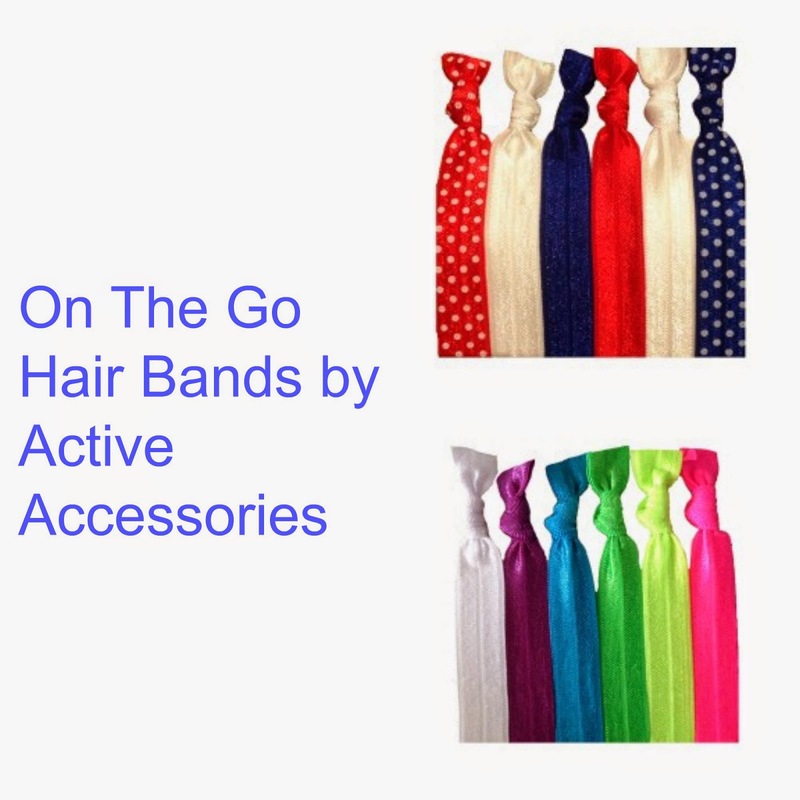 Get the most out of fashion and function with the On the Go Hair Band Bracelets from Active Accessories. Disclosure: The reviewer received this item from the company. All opinions are her own.